It's a tradition at the Mac house to have an enormous brunch on Christmas morning, then go into a carb coma. 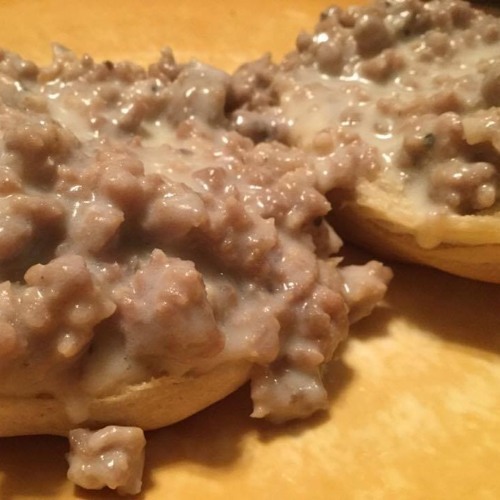 Mary Mac tells you how to make two Southern dishes that we have during the holidays, Sausage Gravy and Biscuits (pictured) and French Toast Casserole. These are good year-round, for any meal, but they're especially nice when you have lots of people coming over because you can prep WAY ahead of time!